22.08.2018 (Hvino News). American Association of Wine Economists (AAWE) in its Twitter recently published a table entitled "Unit Value of Wine Exports", based on United Nations Comtrade database. 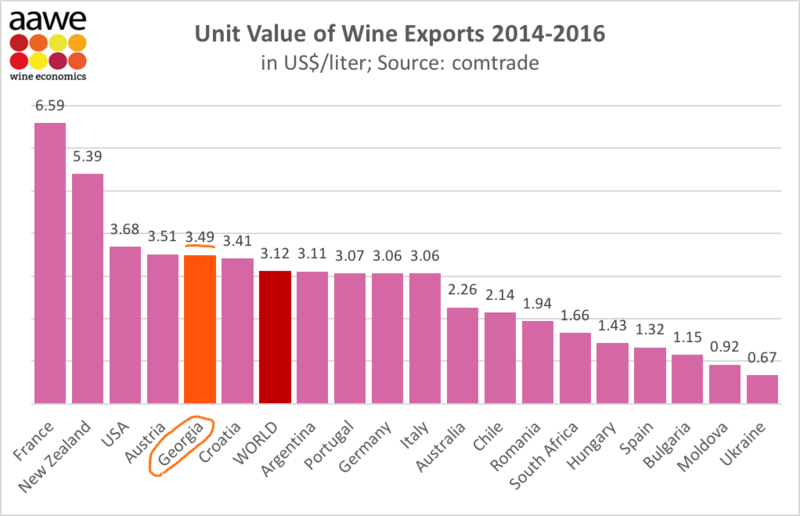 According to the table, Georgia ranked 5th in the world by wine export price - at $3.49 per liter in 2014-2016. 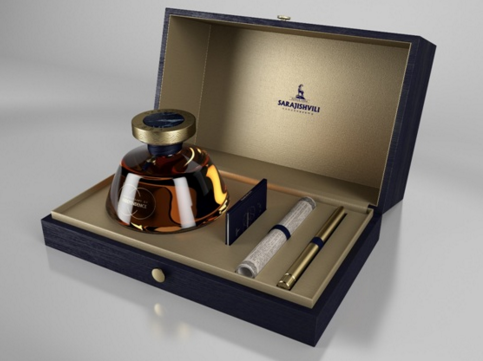 The world's costliest wine comes from France at $6.59 per liter. In the average, Georgian export wine is more expensive than Italian ($3.06) or Spanish ($1.32). 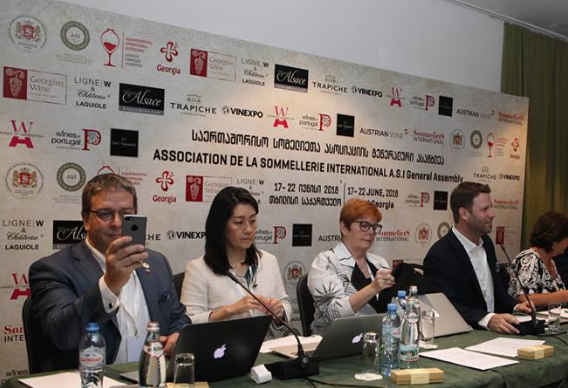 Wine industry professionals have contrasting opinions if high export price is good or bad for Georgian wine export. 19.08.2018 (Hvino News). 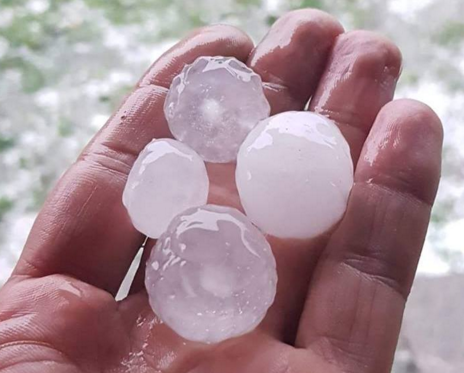 A heavy hailstorm hit Kakheti's capital Telavi and Akhmeta municipality, which is in the heartland of Georgia's main winemaking region. Heavy rain and hail damaged vineyards and other farmlands. "Everything that could only be destroyed was destroyed. In total during this year, the hails have destroyed approximately 200 hectares of agricultural land. 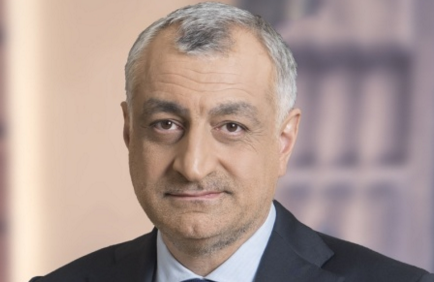 The main problem is that the vineyards are not insured, so the owners can not get compensation," - said David Mamukelashvili, representative of the municipality in the village of Matani. The mudflows flooded several streets of the city on Telavi and hampered the traffic movement. The first floors of the houses were also flooded. Emergency Management Service received 51 notices from Telavi and Akhmeta districts. No one was injured. 26.07.2018. Rare Megrelian vine varieties Chvitiluri and Koloshi have been restored, Misha Tsirdava, founder of Obene family wine cellar, told BM.ge. Several other Megrelian vine varieties will be also restored, namely, Kachichi, Chechipeshi, Cheqobalio and Makhvatina, he added. For the purposing of finding the mentioned vines, Tsirdava visited all corners of Samegrelo Region and managed to restore two vine varieties Chvitiluri and Koloshi for two years. He planted these varieties on the wine cellar territory of about 1 hectare. 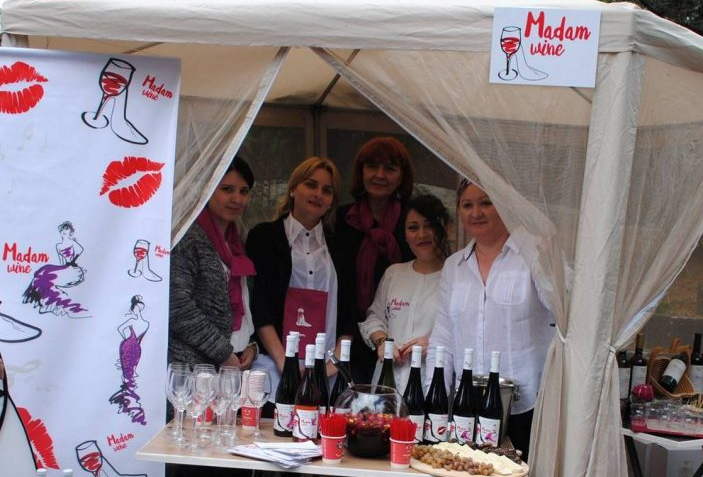 At the same time, he has also made wine from the mentioned varieties in small volumes and international experts highly approved the mentioned wines. 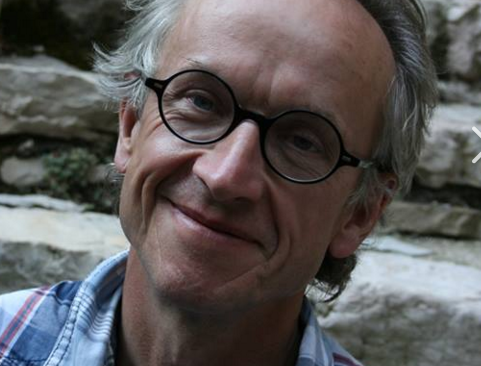 “I have read a lot of books about ancient vine varieties. 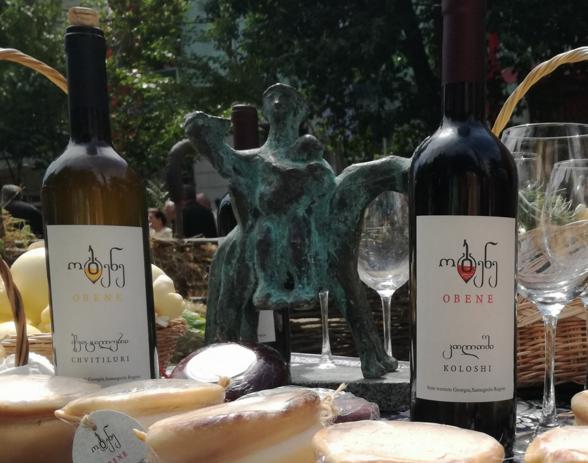 When Georgian researchers wrote about Megrelian winemaking, they stressed two varieties, Chvitiluri and Koloshi, which were spread in while Samegrelo , but especially high-quality grapes used to grow in Mukhuri, Jgali, Salkhino, Tsalenjikha. Chvitiluri is a white grape varsity, Koloshi – red grape variety. 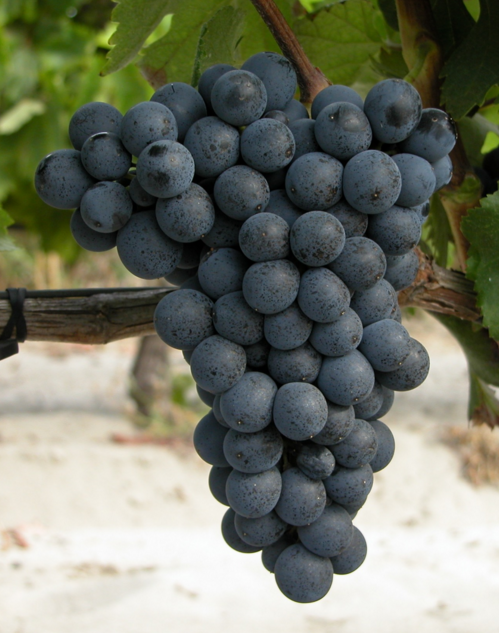 Both varieties give top-quality dry wines. 26.07.2018. Russia, the world’s biggest drinker of Georgian wine, has threatened to tighten control on alcohol imports from Georgia in a step many take as a political shot across the bow. About 16,000 liters of Georgian alcohol were denied entry to Russia during the first half of 2018, Russia’s federal consumer protection agency, Rospotrebnadzor, announced in a July 19 statement. The shipments did not meet “the standards defined by technical regulations and Russian law for consumer protection,” the agency declared (see details here). 20.07.2018 (Hvino News). Russia's Federal Service for the Oversight of Consumer Protection and Welfare "Rospotrebnadzor" in the first half of the year did not allow 16 thousand liters of alcohol from Georgia. 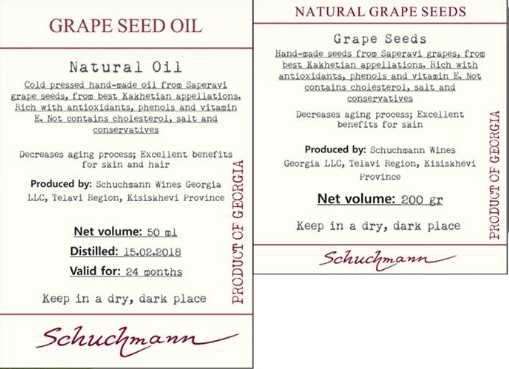 According to official press release, the alcohol products "did not comply with technical regulations to import into Russia, and the agency decided to strengthen control over imported alcohol products from Georgia". 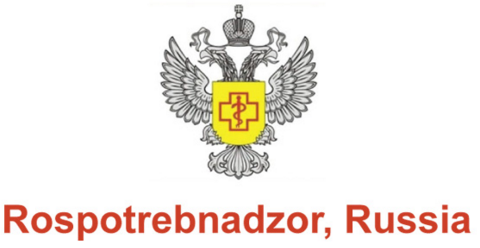 "In the first half of 2018, lots of alcohol products were found that did not meet the mandatory requirements established by technical regulations and Russian legislation in the field of consumer protection.All lots of products that did not meet mandatory requirements totaling more than 16 thousand liters were not admitted to the territory of Russia ", the release reads. 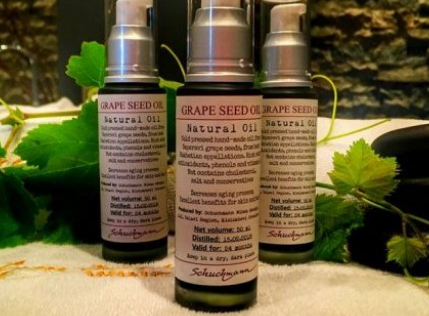 According to Rospotrebnadzor, the analysis of the quality and safety of the products indicates "a violation of production technology and an inadequate level of control over the products produced, both from the side of manufacturers and from the side of authorized Georgian governmental bodies". 13.07.2018. 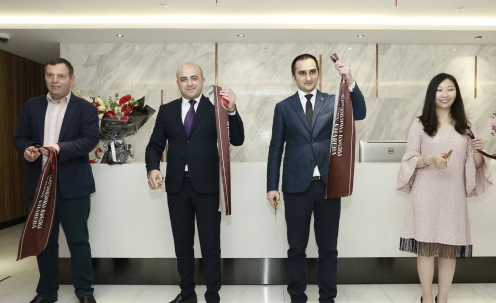 Georgian wine exports in the first half of the year have recorded double-digit growth in both volume and value, driven by bullish demand from Russia, and new markets in countries such as Japan. 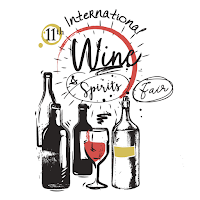 The ancient winemaking country’s exports from January to June rose by 21% year-on-year to 38.2 million bottles, while its value jumped 28% to US$90.3 million, according to figures released by its official wine trade organisation, National Wine Agency. Russia still remains the country’s biggest export market with more than 24 million bottles of Georgian wines shipped during the period, followed by Ukraine (4.19 million bottles), China (2.9 million bottles), Kazakhstan (1.65 million bottles) and Poland (1.57 million bottles). 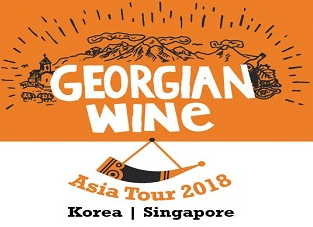 12.07.2018 (Hvino News) According to the National Wine Agency (NWA), four Georgian testing laboratories were granted official certification in Japan. For Georgian winemakers this will simplify wine export in Japan. Previously, additional requirements were applied to the wine exported from Georgia to Japan, adding costs. 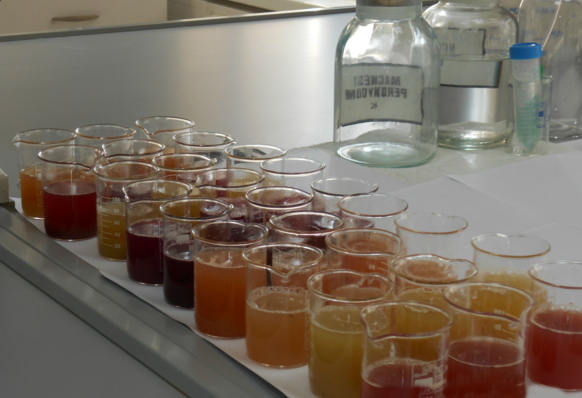 To resolve the problems, Georgia suggested a list of Georgian laboratories for certification in Japan. Japanese Embassy helped by arranging the representatives from their Health, Labour and Welfare Ministries to discuss with the Georgian side. In result, the Japanese side certified the following laboratories: "Wine Laboratory" Ltd, Ltd "Norm", LLC "MultiTest" and LLC "Expertise +". “Japan is one of the strategic export markets for Georgian wine. 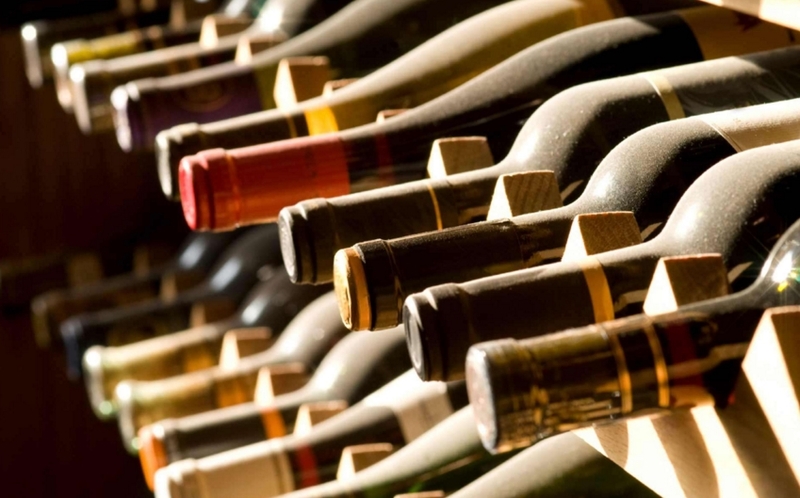 130 thousand bottles of wine have been exported there over the past 6 months, which is 200% higher than the same period last year," - the National Wine Agency noted. 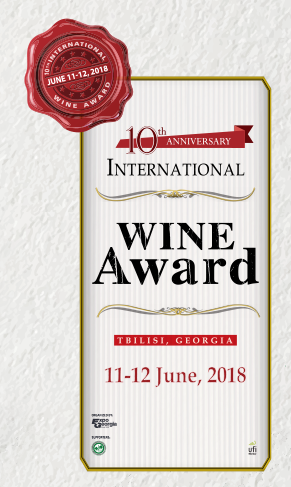 12.07.2018 (Hvino News) National Wine Agency (NWA) reported that a new variety was added to the list of protected Georgian appellation wines. The new protected appellation is Saperavi Khashmi. 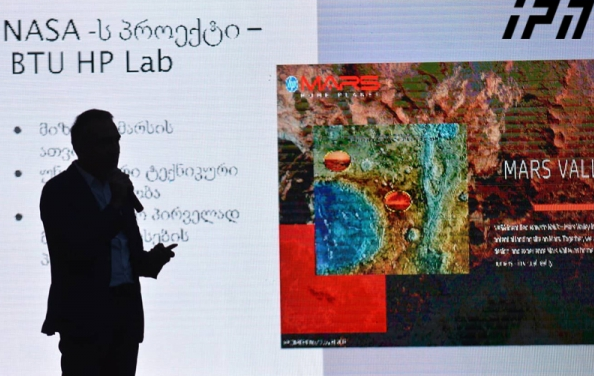 According to the press release, NWA addressed the National Intellectual Property Center "Sakpatenti" for registration of Saperavi Khashmi last year, which was preceded by the joint work of the Agency and National Agricultural Research Center to prepare specifications required for registration. Saperavi Khashmi is red dry wine from Khashmi microzone, located in Sagarejo municipality. "According to historical sources, the cultivation of the vineyard in the Khashmi area is associated with the name of Queen Tamar, who ordered Davit Gareji monks to cultivate the vineyard here", - reads the NWA's release. 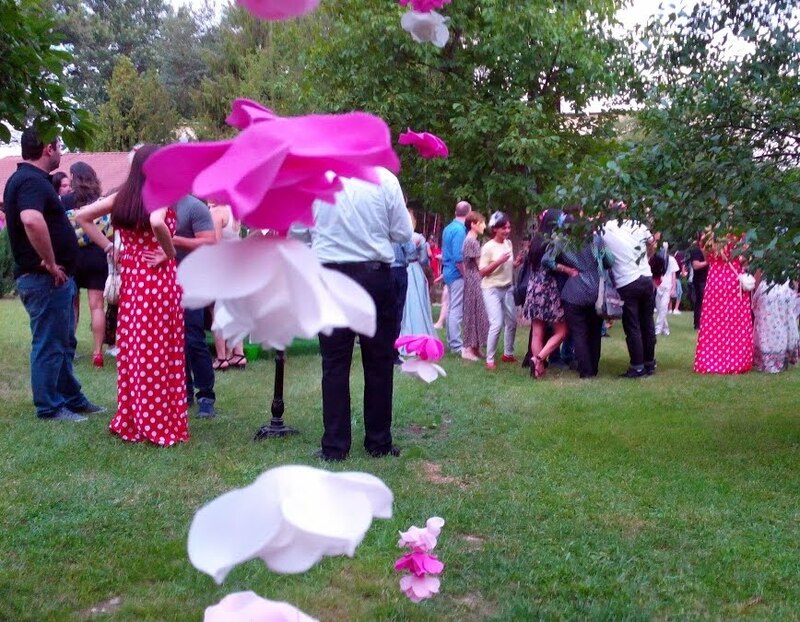 Previously there were 18 Georgian appellation wines registered in Georgia: Khvanchkara, Mukuzani, Tsinandali, Akhasheni, Gurjaani, Kindzmarauli, Manavi, Kakheti, Napareuli, Teliani, Ateni, Sviri, Vazisubani, Kardenakhi, Tibaani, Tvishi, Kvareli and Kotekhi. 08.07.2018 (Hvino News). QvevriXYZ is a company, which announced a 3D printer technology to revolutionize the ancient Georgian method of production of the qvevri. This uniquely Georgian amphora-like vessel used in winemaking is traditionally produced of clay according to tradition which has not changed during several thousand years. 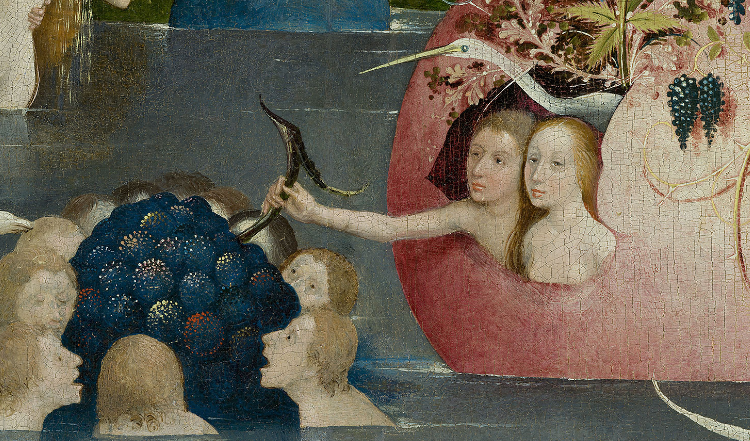 Modern technology, however, has reached this millenia-old craftsmanship. 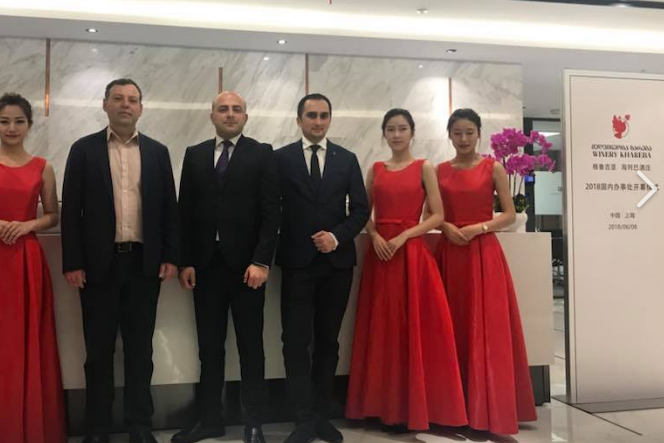 QvevriXYZ says that "with elements of traditional qvevri making process and modern technologies, we improved its structure and quality, yet kept its unique characteristics". Traditionally, it takes months to make a qvevri. 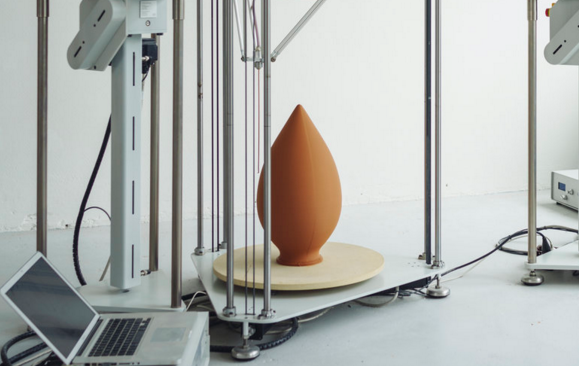 For a 3D printer, it takes several hours, plus normal pottery burning/drying process. 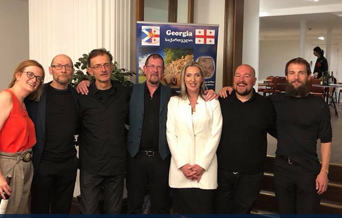 Theere are four "founding fathers" behind QvevriXYZ: David Mizandari, Nika Gujejiani, Giorgi Mamasakhlisi, who are from Georgia, and a Dutch Olivier van Herpt. Hvino News contacted Nika Gujejiani, who kindly answered our questions. Hvino News: What substance do you use for production? 03.07.2018 (Hvino News). 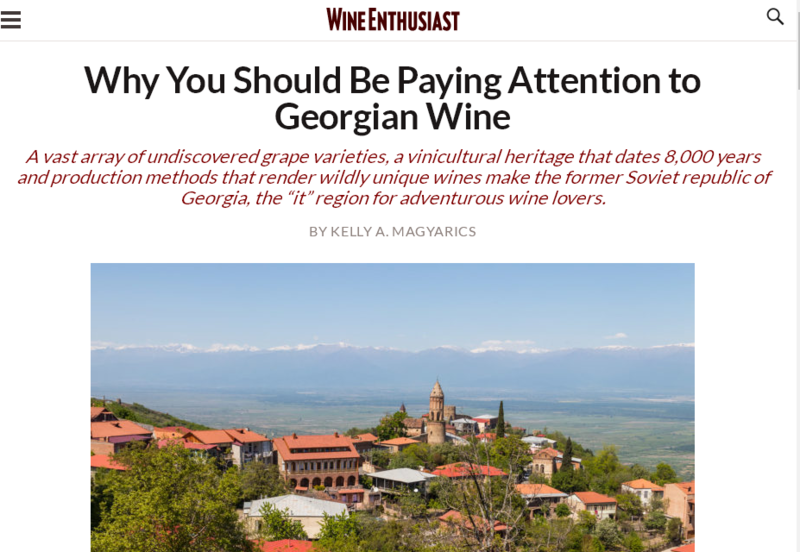 "Why You Should Be Paying Attention to Georgian Wine" is the title of yesterday's article in the leading American magazine Wine Enthusiast. This is how the author Kelly Magyarics starts her explanation: "About the size of West Virginia, Georgia is home to more than 500 grape varieties". "In 2017, Georgian wine imports to the United States grew 54% from the year before, translating to 458,000 bottles versus 294,000 in 2016. 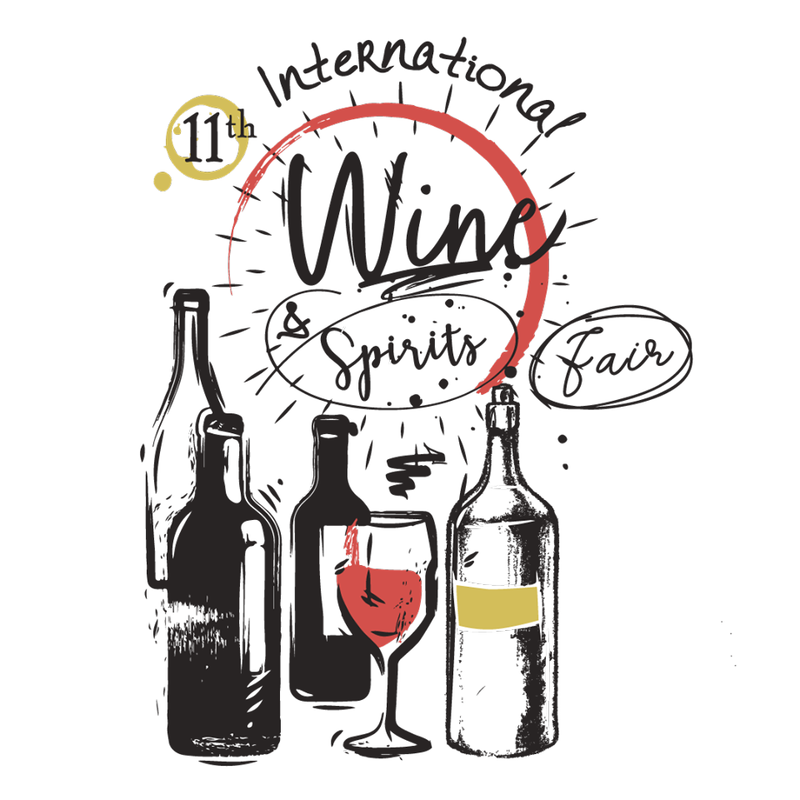 While that still puts them way behind powerhouse countries like Spain, Italy and France, the demand for and availability for Georgian wine is stronger than ever." "Georgia made natural and organic wines long before they became buzzwords... Natural wine producers have also embraced qvevri, the egg-shaped clay vessels buried underground that UNESCO designated a signature part of Georgia’s winemaking heritage. 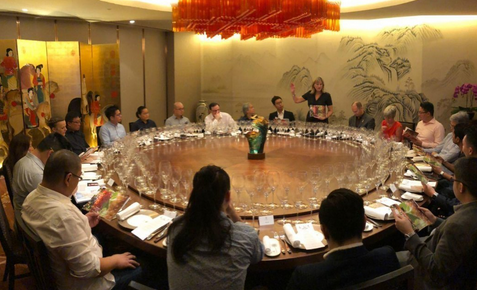 Their porous nature allows for natural temperature shifts and aeration, and their lack of corners promotes wine’s contact kinetic movement allowing constant natural less stirring and more uniform oxygen contact. 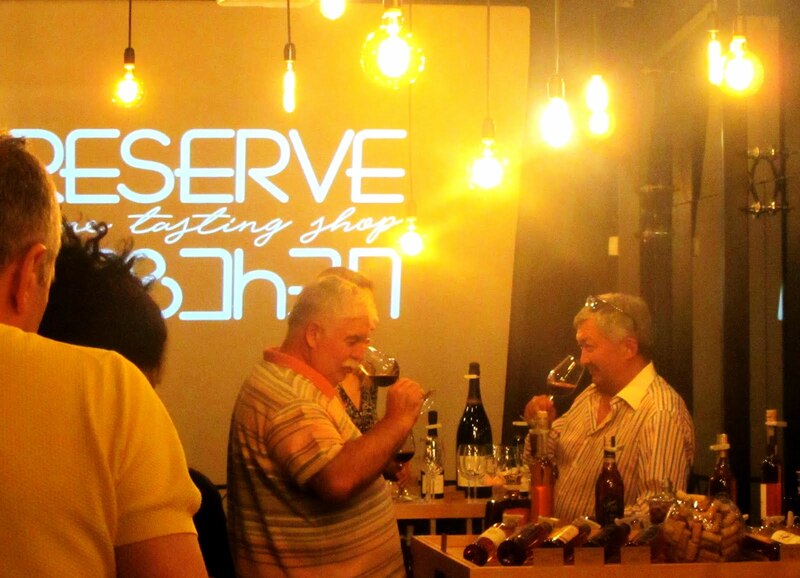 Qvevri are indispensable for amber wines." Full text can be found here. 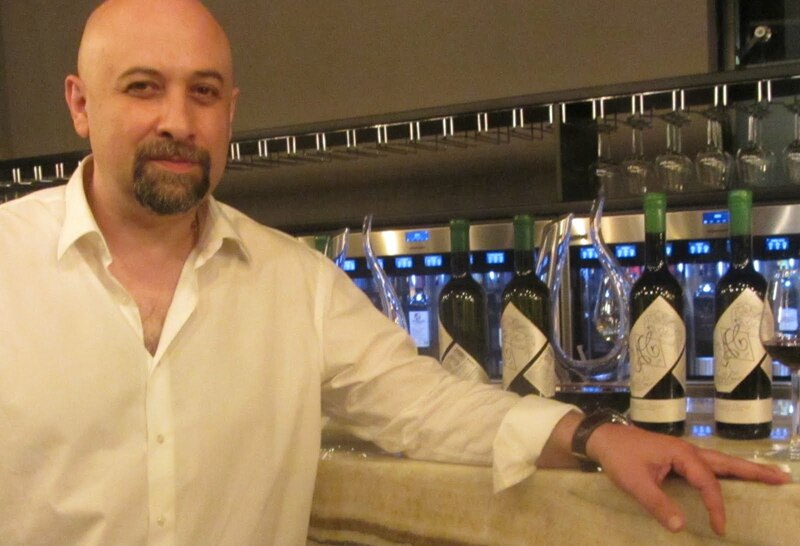 Kelly Magyarics is a wine and spirits writer, and wine educator in Washington, D.C.